The Casino Luck is one of the reputed online casinos in the industry and has earned an excellent reputation since opening in 1999. Together with the Next Casino and the Wild Slots, it is managed by Aspire Global. Originally, Casino Luck offered only Microgaming games. Meanwhile it is however a multi software offerer with slots developed by Netent, Play’n Go, Thunderkick, Aristoctat or also Gamomat. 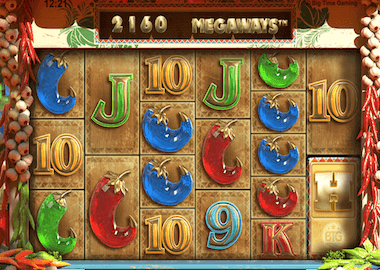 For several years, the casino is fully compatible with mobile devices. 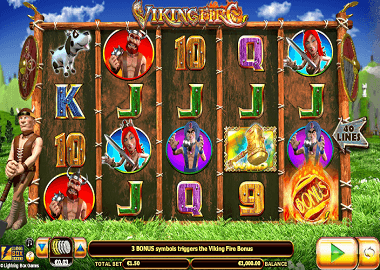 A large part of the offered slots as well as the live casino are also available on the go. As one of the few online casinos you can also play in different currencies here. During the registration it is possible to choose between Euro, Pounds and Dollar. The casino is licensed by the Malta Gaming Authority and the UK Gambling Commission. No doubt you are playing under supervised and fair game conditions here. In addition to the excellent range of games you can also use lucrative bonus offers or participate in the VIP program of the casino. Both are a great opportunity to play with an advantage you should not miss! Casino Luck offers you a nice welcome bonus on your first visit, which you can optionally use. If you agree with the bonus, all you have to do is make your first deposit, which will activate your bonus and free spins. If you do not want to play the bonuses, you must first contact the support before the first deposit. 50 free spins and £50 bonus are certainly a good argument to grab the bonus. You double your first deposit automatically after signing up at the casino. You can get up to £50 free to play. The minimum deposit is only £20 and you also get 50 free spins. 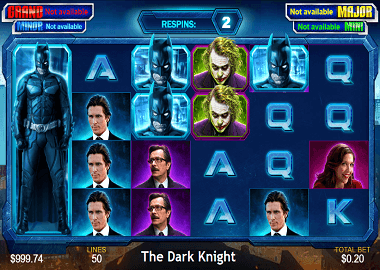 You then play them on Netent’s Starburst Slot – a great game that guarantees extra winnings. You have to convert the bonus 50x before payout and the winnings from the free spins only 35x. We recommend to play here with the bonus, because the bonus conditions are fair and an advantage for you. The range of games in the Casino Luck is very large and varied. So far, you can play around 600 of the more than 1000 games from your smart phone or tablet. Prerequisite for this is only the registration in the Casino Luck and the bonus and the free spins you can redeem quite relaxed on the go. 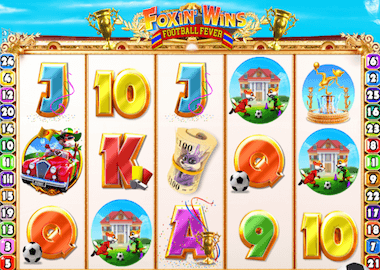 Another advantage for you is that you can also play many of the slot machines in demo mode and you do not even need to log in for that. So play top hits like Book of Dead, Ramses Book, Berry Burst, Thunderstruck or Double Triple Chance with real money or just for fun. The following games providers offer the slot machines at Casino Luck: Netent, Play’n Go, Game Art, Microgaming, Realistic, Quickspin, Betsoft Gaming, NYX Gaming, Gamomat, Cryptologic, IGT, Triple Edge Studios, iSoftBet, Boomimg Games, Thunderkick and Aristocrat. Of course, in addition to the video slots, there are also video poker, scratch cards, progressive jackpots, table games and a live casino. The latter comes from Evolution Gaming and from the studios in Riga – there are more than 60 live table for playing. These include Roulette, Blackjack, Baccarat, Three Card Poker, Texas Holdem or Dragon Tiger Live Tables. The support at Casino Luck is very professional and also accessible at any time. The easiest way is to use the Live Chat feature. You can communicate there in different languages. But it is also possible to write an e-mail and also you will get an answer very quickly. You can also find more information about the Casino Luck on the very well-structured FAQ pages. There you can also learn all about the means of payment, about which we write the most important. Great Bonuses without Deposit – play in following Casinos for free! The Netbet Casino is a true all-rounder. The popular and renowned gaming platform enjoys an excellent reputation and is one of Europe’s largest providers of casino games, live poker and sports betting. Other gambling products such as Virtual Sport, Vegas Casino or Lotto offers complete a fantastic gaming experience. The Netbet Casino has been around since 2013 and it originated from the Casino 770 which opened in 2001. Like many other online casinos, you started with only one game provider. Today, the Netbet has long become a paradise for gambling fans, because the selection of more than 1000 games comes from no less than 34 games providers. You will find a fantastic mix of slot machines that can you play on desktop, smart phones and tablets. You don’t need a special app for playing on the go, which means that access to the casino through your browser is sufficient. Visit all areas such as Sports, Casino, Poker or Lotto at Netbet indepence on where you are. Grab yourself a bonus for you registration at Netbet! The welcome bonus in Netbet Casino is certainly the most lucrative one, but also for poker players or sports betting fans there is a bonus after the registration available. In the casino you can get a bonus and free spins with the Bonus Code NBWELCOME. 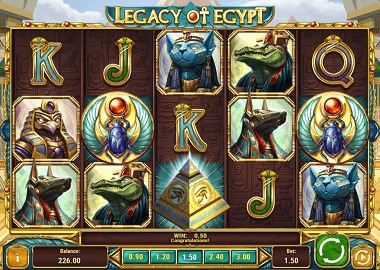 Make your first deposit, which is doubled and then play the Age of the Gods slot. In the sports betting you can start after your first bet with a free bet of up to £25. Poker players can also look forward to a Welcome Bonus, which is the first deposit. Each amount is trippled up to £1.300. Customers from EU alsp will benefit from the following amenities: 20 € cash free bonus, 3 exclusive tickets for the “VIP Instant Win” freeroll tournament and 2 exclusive tickets for the “Daily Final” freeroll. All bonus offers are subject to some bonus conditions as usual. The range of slot machines we have already mentioned above briefly. Among the 34 games providers, you’ll find all the ranks and names in the industry: Netent, Playtech, Microgaming, Play’n Go, Thunderkick, Yggdrasil, ELK Studios, Big Time Gaming, EGT, Bally Wullf, Oryx Gaming, Leander and many more. You can filter the rich selection of games very well according to the criteria: games providers, jackpot games, spring games, table games and card games. Among the slot machines are top games such as Rumble Rhino, Spinata Grande, Book of Dead, Jungle Spirit, Ramses Book or Divine Fortune. 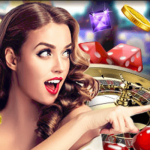 Not to be neglected, you should also the Live Casino, which is nevertheless offered by the leading provider of live casino streams: Evolution Gaming. You can play here at 14 different roulette tables, 7 blackjack tables and 2 baccarat tables. Other games on offer include Dream Catcher, Monopoly Evolution, Football Studio, Casino Hold’em, Three Cards Poker and Caribbean Stud. The Live Casino and most of the slot machines and table games are also available from Smart Phone. A word about Casino Vegas: This is a Playtech casino where you will find exclusive Playtech slots, Playtech table games and progressive Jackpots. The service at Netbet Casino follows the strict standards that apply to bookmakers in general. In addition to the Malta Gaming license, the casino also has a UK license. The data traffic as well as the data storage are encrypted, respectively, protected according to the latest standards. You play in the Netbet under supervised and fair conditions. The payout odds of the machines are always visible and transparent. Personal support is available here from 10am to midnight. Use the Live Chat feature or the phone number +44 (0)20 3608 6024 if you live in United Kingdom. 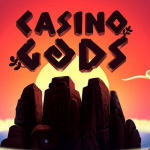 Casino Gods is a new online casino from the Genesis Limited group. Like its partner brands, it offers more than 1300 games from 10 games providers such as Netent, Play’n Go or Red Tiger Gaming. Casino Gods has a state-of-the-art casino interface compatible with smartphones, tablets and desktops. You can play more than 600 games from the portfolio on the go. In addition to a Malta and Spel Inspektionen license, the casino is also licensed to the UK market and regulated by the UK Gambling Commission. Casino Gods partner casinos include Casino Joy, Vegas Hero and Spinit Casino. Behind these platforms is an experienced team which enjoys a good reputation in terms of service and support. For new players also offers the Casinos Gods a welcome bonus. Other lucrative bonuses and promotions are also available. Registration at Casino Gods takes only a few minutes. Your player account will be activated immediately and you can also redeem your New Player Bonus. As with partner casinos, you can grab a bonus and free spins at Casino Gods for your first deposit. 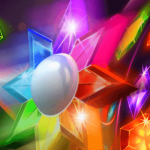 The free spins are available at some of the best Netent Slots like Starburst, Aloha Cluster Pays or Gonzo’s Quest. In addition to the free spins, you also double your first deposit. Only £ 10 deposit is required to activate the bonus and free spins – a fabulous bonus you should not miss out on! More interesting bonuses can you find on the promotion page of Casino Gods. You can regularly redeem other bonuses or free spins, or take part in raffles and slot tournaments. But first of all you should register in the VIP Club. Only then will you collect valuable points for your bets. You can then convert it into real cash and at the same time you also go up in the VIP level. Other benefits such as individual bonuses, faster payouts or a personal manager are then available to you. The Casino Gods convinces with an excellent games mix of many well-known games providers from the online casino industry. The more than 1300 games are easily accessible and you can also set up your personal favorites. Thus, you have access within seconds, regardless of whether you play from the desktop or on the go. The games providers are Netent, Play’n Go, Red Tiger Gaming, Yggdrasil, Microgaming, Quickspin, IGT, Kalamba, Oryx Gaming, Thunderkick, Golden Hero, Give Me Games and Gamomat. To play your smart phone or tablet reduces the selection to about 600 games, but even that’s a huge selection. The top games like Berry Burst, Book of Dead, Ramses Book, Legacy of Egypt, Mega Moolah, Fruit Shop or Valley of Gods you can play anyway from anywhere. But even if you’re a passionate live player, Casino Gods is a good choice. No less than 80 live tables with Roulette, Blackjack, Baccarat, Poker variants, Dragon Tiger and more games are available. This selection is hosted by Netent and Evolution Gaming. 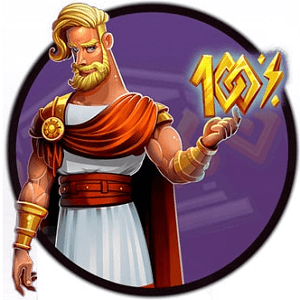 The support team of Casino Gods is very experienced, as it currently serves 8 online casinos of Genesis Affiliates. Just like on the website itself, you have 5 languages to choose from: English, German, Swedish, Finnish and Norwegian. Personal assistance is available from 8am until 1am, after that you can use the email service. In general, live chat is the best alternative for quick help. 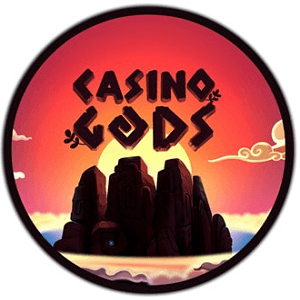 You can also find information about Casino Gods on the FAQ’s pages. Spela Casino is a multi-game provider with live casino. The online casino belongs to the Genesis Limited Group, which operates other well-known brands such as Casino Cruise, Sloty Casino or Genesis Casino. Just like its partner brands, Spela Casino has an exceptionally wide selection of games. More than 1300 slots and also a live casino is available for you to choose from. 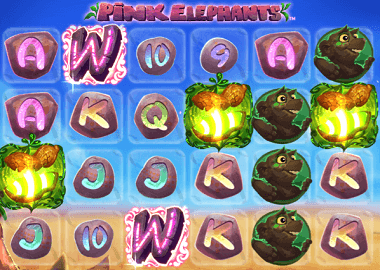 You can play more than 500 video slots as well as live games from your smart phone and tablet. The casino has a Malta license and is therefore classified for the EU area. In addition to the above advantages, there is still a very special feature at Spela Casino. The casino is one of the so-called Instant Play Casinos, which allow you to play without logging in. How exactly this works is explained below. Nevertheless, you can also grab a bonus at Spela Casino, which is offered here in the form of free spins. No registration and play with bonus – only in Spela! The greatest strength of Spela Casino is clearly the selection of slot machines. There are 10 games developers who make the more than 1300 slots. Besides Netent, Play’n Go, Microgaming, NextGen or Yggdrasil, you’ll also find Gamomat, Kalamba, Quickspin and Red Tiger Gaming. On the go, you do not need to download an app to play in Spela. Just visit the homepage of the casino and you can start the games in the browser window. So top titles like Book of Dead, Ramses Book, Legacy of Egypt, Starburst, Vikings and many more are also available on your Smart Phone. Also on the way, you can also visit the live casino in Spela. This is provided by Evolution Gaming and is considered the best live casino in the industry. No less than 80 live tables are available and all classic games are playable in many variations. Even the minimum bets are very moderate, because already from 1 € you can play here. Overall, the Spela Casino offers all the facets of a modern casino: video slots, video poker, table games, progressive jackpots, scratch cards and a live casino. 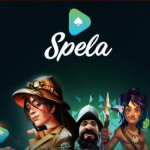 As mentioned before, you do not need to register at Spela Casino, but you can play directly. This is possible because you are making your deposits and withdrawals with Trustly. Trustly is an instant banking provider that transacts your transactions from your own account. It is the safest way to play in the online casino. You sign up as usual in your online banking and authorise the deposit in the casino. It only takes a few seconds and you do not need to enter any more data in the casino. The Videoslots Casino, which is headquartered in Malta under Videoslots Limited, is the largest online casino in the world. The Casino has more than 70 games providers and, as things stand, new games developers are released instantly. To date, there are already the incredible number of more than 3400 different slot machines, table games and jackpots! This number is increasing weekly as 5 – 10 games are added on average. This is all very impressive and for slots fans there is certainly no better alternative in terms of the number of games. The video slots casino offers you a varied and exciting bonus to get started. Play an outstanding Welcome Bonus with the first deposit, and also Free Spins without wager and 150 Starburst Free Spins on top. But you can also be sure that this bonus also offers a real advantage. The bonus terms are fair and you have virtually no choice: If you start playing at Videoslots, you should use the following offer definitely! Use your bonus at your own discretion as you will double the first deposit. You only need to convert the bonus money 20 times, which is extremely fair and opens a great advantage for you. Even more exciting are your 11 free spins without wager. Everything you win is yours! Deposit £10 only and you play the free spins without wager and another 150 Starburst Free Spins. Incidentally, all this is just your welcome bonus, which you get after signing up. The Slots Million Casino is the only online casino where we do not want to list all the games providers. For one thing, there are just too many, and of course there are some niche providers that are less known. The main games developers are Netent, Gamomat, EGT, WMS, Microgaming, Lightning Box, Endorphin, Betsoft, Blueprint Gaming, Merkur Gaming, Red Tiger Gaming, iSoftbet, Bally, IGT, Playson, Yggdrasil Gaming, NYX Gaming, Play N Go, Nextgen Gaming, Genii, Thunderkick, Leander Games, Quickspin, Big Time Gaming, ELK, Studios, Aristocrat and much more. 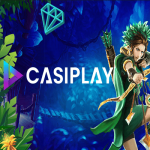 The Casiplay Casino is a multi software casino from Aspire Global which already has well-known brands like Next Casino, Wild Slots and Casino Luck. Casiplay is a multi functional games platform with access from desktop, tablet and smart phones. Numerous popular games manufacturers such as Play’nGo, Netent, ELK Studios, Microgaming, Gamomat or Netent provides the video slots and table games. The casino has a great looking easy-to-use design and automatically adapts to your smart phone or tablet. In addition to the good range of games offers the Casiplay Casino safe gambling under fair conditions. The casino has the license of the UK Gambling Commission and the Malta Gaming Authority. The registration in the casino is easy and fast. You can also redeem a wonderful welcome bonus with your first visit, which you’ll get as a new player. Thus you play immediately with an advantage, which you should use in each case. Spin the reels on more than 1000 slots with a bonus and free spins! 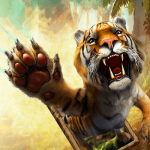 The Welcome Bonus for new Players – Bonus and Free Spins! The Welcome Bonus at Casiplay Casino is available right after your registration. You can activate a bonus and free spins with your first four deposits. In total, the bonus package includes up to £800 welcome bonus and 100 free spins. 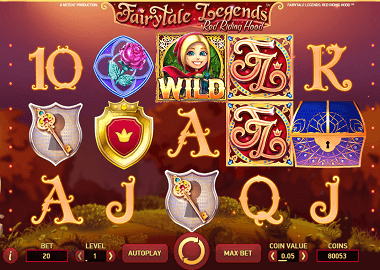 These are played on a top slot: the Starburst Online Slot by Net Entertainment. The winnings from the Free spins and also your bonus are subject to very fair bonus conditions. 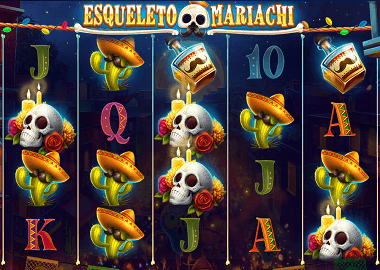 So use this bonus because you play with a real advantage in the Casiplay Casino! Casiplay Casino has a great selection of games from reputable game providers. Many of the more than 1000 slots and games are also available on the go on Smart Phones and Tablets. The slots and table games come from Netent, Play’n Go, Microgaming, NYX Gaming, Betsoft, Gamomat, Quickspin, Thunderkick, Aristocrat, Lightning Box Games and ELK Studios. The best known games are for example Berry Burst, Book of Dead, Ramses Book, Thunderstruck, Temple Quest, Pharaoh Riches or The Angler. 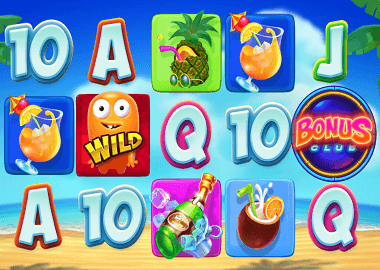 There are classic slots, scratch cards, fruit games, jackpot games and 3D slots. The Wild Slots Casino is part of the Aspire Global Group, which also offers the two well-known brands Next Casino and Casino Luck. 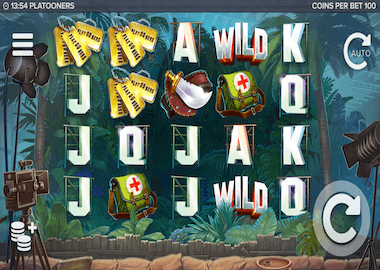 In 2016, the Wild Slots has been originally opened and finally completed after a major revision a year later with a full responsive and new design. Today, it is a multi-software gaming platform licensed by the Malta Gaming Authority and the UK Gambling Commission. With its huge game offer, good bonus and above all fast payouts, the casino has earned a good reputation. The design of the casino is modern and focused on quick and easy navigation. 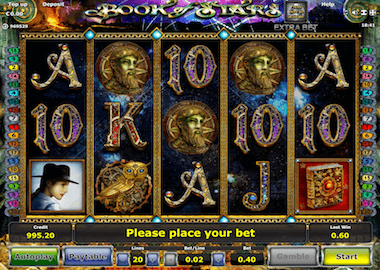 The casino interface is equally compatible for desktop, tablet and smart phones. 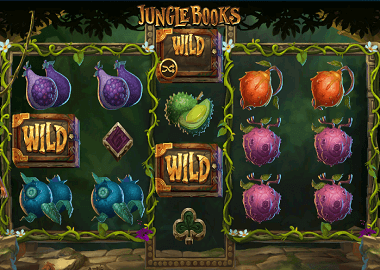 If you want to play on the go, it is sufficient to open the Wild Slots Casino in the browser. You can use all the services and the games offer from everywhere. Only older slots are still only available from desktop computers, due to a required flash player. There are no limits to the start of the game in Wild Slots and it is especially attractive with the offered Welcome Bonus. Your registration at Wild Slots Casino takes only a few seconds and is rewarded with a bonus and free spins. You get the free spins for the Wild Wild West Slot, which you can also play on your Smart Phone. 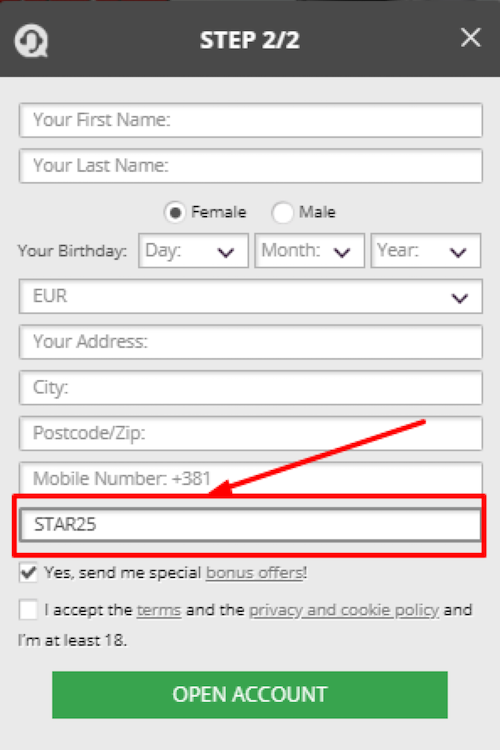 So if you redeem the bonus with your mobile phone, that’s technically no problem! The Wild Slots Casino gets its name not only because it sounds good. 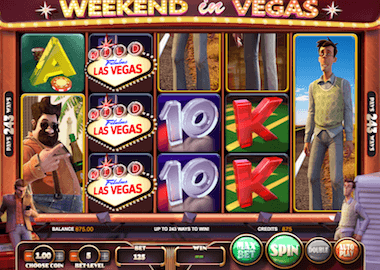 The portfolio of slot machines includes more than 1000 games and there is also a live casino. This comes from Evolution Gaming, which is undoubtedly the premium supplier in this sector. In the live games offer the classic games like roulette, blackjack and baccarat are in numerous variations. A total of 25 live tables with different minimum bets are available. Much bigger, however, is the selection of slot machines. There are no less than about 1000 games from popular games providers. 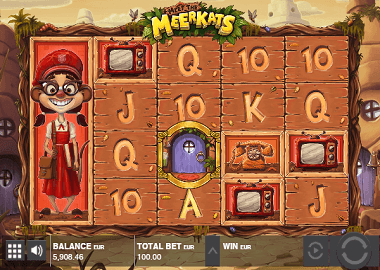 The portfolio includes slots from Netent, Microgaming, NYX Interactive, NextGen Gaming, Cryptologic, BetSoft, IGT, Aristocrat, Leandergames, Thunderkick, Quickspin, Playn Go and ELK Studios. Just recently, Lightning Box Games, a well-known Australian software developer, was added. The VIP program at Wild Slots Casino rewards diligent players with added benefits. There are a total of 7 levels to activate, and with each ascent the rewards become more lucrative. In addition to individual bonuses or free spins, you can also benefit from Express payouts within minutes. Also, you have a personal manager from the Premium VIP level available. But not only high roller can rely on good support at Wild Slots Casino. For problems of any kind, you can reach the well-trained team daily from 6 am to 11 pm via live chat. Then you can use the email service and get an answer the next day. For simple questions, you can also visit the FAQ page of the casino. What also belongs to the good service are the payouts. These are processed very quickly at Wild Slots Casino. If you use e-wallets like Neteller, Skrill or EcoPayz, your winnings will be paid within 1-10 hours. For credit cards or bank transfer it takes at least 3 days. These payment providers are available to you: Visa Card, Master Card, Visa Electron, Neteller, EcoPayz, Skrill, PaySafe, DotPay, Instant, Giro Pay, WebMoney, EntroPay, Zimpler and more. For the Next Casino we now offer an exclusive bonus for newbies. This offer is only available through this site and is valid for new players at Next Casino. 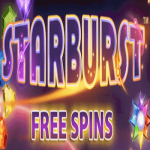 After registering, you can play 25 free spins on Netent’s Starburst slot. The winnings up to £100 are yours! Use this great opportunity to get to know the Next Casino. Then you can also receive a welcome bonus and activate further free spins on the Twin Spin slot. 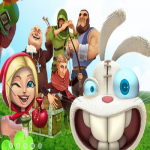 With your bonus, you can play on more than 1000 slots provided by reputable game manufacturers. These include NetEnt, BetSoft, Cryptologic, Evolution Gaming, IGT, iSoftBet, MicroGaming, NextGen Gaming, Playn’Go, Thunderkick and Aristocrat. You can also use the bonus and the free spins on the go with your smart phone. Follow the steps as described and play directly when and where you want! The Next Casino has been a popular online casino for many years, holding a Malta Gaming Authority license and a UK Gambling Commission license. In addition to the great selection of video slots, there are also scratch cards and a live casino. Regularly, you can take part in further promotions or enjoy further benefits as a member of the VIP Player Club. For deposits and withdrawals, you can use the following methods of payment: Visa, Master, Neteller, Skrill, EcoPayz, PaysafeCard, EntroPay or Trustly. Payouts with e-wallets are the fastest and usually free of charge. The support at Next Casino works around the clock via live chat or e-mail and ensures fast payouts. Next Casino has two partner brands, Wild Slots and Casino Luck. In both you can also play a bonus and free spins after registering. All casinos have a UK license and are highly recommended for UK players. You’ll only find the best slots, lucrative bonus offers and fast payouts. 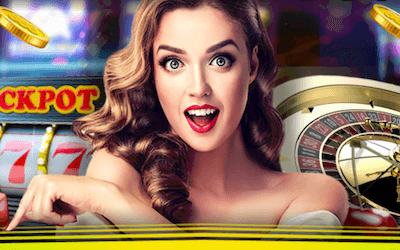 Visit the Next Casino now and redeem your No deposit Free Spins! Good news for fans of the game provider Oryx Gaming. The famous slots developer and iGaming giant has now made his debut in all Genesis Limited Casinos. The well-known group which operates casinos such as the Casino Cruise, Spinit Casino or the Vegas Hero, thus increasing its stock to more than 1400 games. Oryx Gaming has launched more than 100 casino games in the first step. These are also available on smart phones and tablets. The range of slots in the Genesis Casinos is now even more diverse, because even game providers such as Netent, Play’nGo, Microgaming or Yggdrasil are available. The biggest advantage of Oryx Gaming is the well-known games manufacturers of the company. These include Kalamba Games, Golden Hero, GivMe Games and Gamomat. Although there are already Gamomat games in the Spinit Casino, for example, there will be even more slots from the German game developer to choose from in the future. And they are not only very well-known in German-speaking countries. Also gain worldwide attention through their marketing by Oryx Gaming. Highlighting individual games is a bit difficult, because each of the games has its charm. The more than 100 slot machines include titles such as Anaconda Eye Rapids, Golden 7 Classic, Scepter of Cleo, Broker Bear Blast, Golden 7 Christmas, Golden Dunes and Mission Atlantis. Of course Gamomat’s games are in high demand as they are very similar in terms of gameplay and functionality to Novomatic and Playn’Go slots. Gamomat also has a Progressive Jackpot (Red Hot Fire Pot), which you can win on selected slots. Pay attention to the welcome bonus in Genesis Casino! A total of 8 online casinos belong to the Genesis Limited Group. 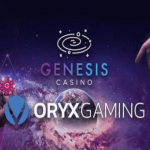 In all casinos the Oryx Gaming Slots have been released and in each of the casinos you can also redeem a welcome bonus. 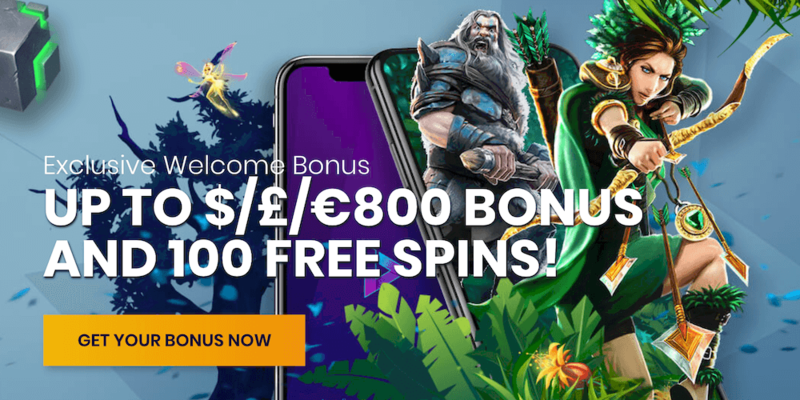 The best bonuses you get in the Casino Cruise (200 free spins and 1,000 € bonus), Sloty Casino (300 free spins and 1,500 € bonus) or in the Genesis Casino where you also get 300 free spins. You can register in a casino or even with several providers, because the welcome bonus you actually get every time! Here is some more information about the Genesis Limited Group. All casinos have a Malta Gaming Authority and UK Gambling Commission license. Also players from Sweden and Finland are welcome, because also in the Scandinavian countries the casinos are licensed. All casinos have a responsive design so you can always play in the browser even when you’re on the go. Support is available around the clock and is available in several languages. You can make deposits and withdrawals with Neteller, EcoPayz, Skrill, Credit Cards, Trustly, GiroPay or Paysafe among others.